My wife and I had worked with Mark Salmon for approx. 2 years looking for our dream home. One day Mark sent me an e-mail telling me he found our home. I told him we would be up that weekend to look at it. He told me it would sell quickly. We made an offer on the home and it was accepted. We went up to look at the home we purchased and it was exactly what we were looking for. This goes to show you that Mark really listens to what his clients are telling him. He is respectful, professional and very knowledgable about the Lake Tahoe area. Not many people would buy a house sight unseen. We had complete faith in Mark as our agent. 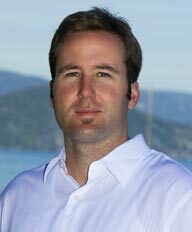 We would recommend Mark to anyone that is going to buy or sell real estate in the Lake Tahoe area. Call Mark Salmon if you only want the best. If not, you can call the rest! "We have done several real estate transactions in the past year. We have used Mark on all of them. He makes the experience smooth and easy. He is the most... continued"